These pearl and diamond Mikimoto studs are bubbling with possibility! 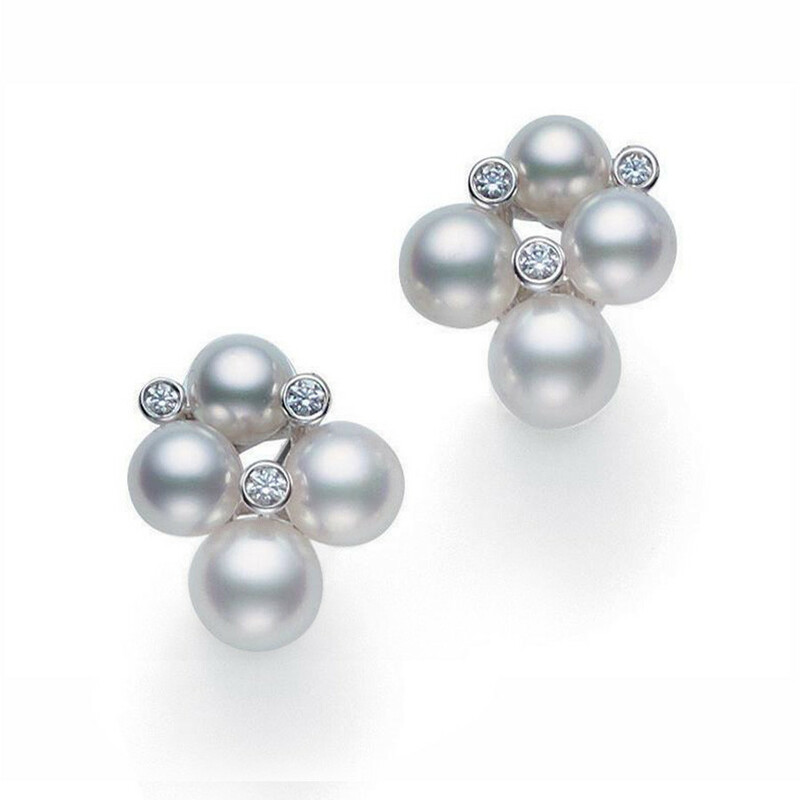 Crafted in 18K white gold, they feature a playful cluster of cultured Akoya pearls and bezel-set diamonds that are reminiscent of bubbles floating in the air. These stud earrings from Mikimoto have an elegant yet easy-going effervescence.